Daimler adds Geely as major investor for electrification: Li Shufu, the chairman and main owner of Chinese carmaker Geely, has taken a 9.69% stake in Daimler AG, the German company said in a regulatory filing last week. The $9 billion in Daimler shares makes Li the largest single shareholder in the manufacturer of Mercedes Benz cars, trucks, and vans. Sources told Reuters that Geely’s main objective in the Daimler investment is sharing its EV technology to meet China’s demand for new energy vehicles. Zhejiang Geely, which owns Volvo, in December invested $3.9 billion in Volvo AB, the world’s second-largest truck maker after No. 1, Daimler Trucks. The Chinese company has also invested in Via Motors and an electric truck joint venture for China. Daimler has made comments about preparing to be the world’s leader in electrified trucks in the medium-duty and heavy-duty truck segments. Last week, the company released details on its eActros heavy-duty trucks still in development. 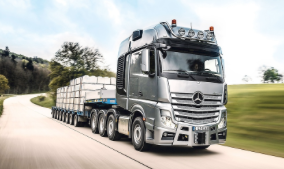 The company said that the eActros drive system comprises two electric motors located close to the rear-axle wheel hubs. The truck can carry a payload of 11.5 tons, and will have a 125 mile range per charge. Energy will be stored in two lithium-ion batteries with an output of 240 kWh. Daimler is looking at 20 to 80 kW charge rates, which will be able to charge up the eActros in three to 11 hours. Geneva will showcase Tesla-competitive models: European automakers will be utilizing the Geneva auto show next month as a platform for being truly Tesla-competitive. That comes after a sobering finding – the Tesla Model S outsold the Mercedes-Benz S class and BMW 7 series in Europe for the first time last year. The Tesla Model 3 could add to that pressure if it makes it through production problems and hits company targets. Jaguar will be showing the I-Pace electric crossover, which is considered to be the first competitive all-electric Tesla rival. Volvo will show its Polestar 1, the first car from its new electric performance brand. The plug-in hybrid Polestar 1 won’t be directly competing with all-electric Teslas, but it will come close in its performance – capable of producing 600 horsepower and 150 kilometers (93.2 miles) in electric-only, the longest range of any plug-in hybrid. Bentley will also reveal its first plug-in hybrid aimed at customers willing to pay more. Audi, Volkswagen, and Mercedes-Benz also will show off all-electric vehicles aimed at Tesla. States adding fees to back infrastructure cleanup: States are watching what the federal government is doing on rebuilding the highway infrastructure, and may have to come up with their own solutions. President Donald Trump’s $200 billion plan to repair America’s transportation corridor, revealed Feb. 12, is intended to attract a huge amount of additional money from states, localities, and private investors. The goal is to generate a total pot of $1.5 trillion to upgrade the country’s highways, airports, and railroads. Finding outside funding sources is essential to the policy changes moving forward, with non-federal government sources accounting for 70% of the formula for choosing infrastructure projects. Hawaii has taken steps toward adding new fees for electric vehicle owners, to get them to “pay their fair share” towards maintaining the state’s bridges and roads. Other states, including California, are likely to add more toll road fees as voters have turned down efforts to add other fees and funds coming from Washington are drying up; and some states are considering adding more EV taxes, similar to what Hawaii has been working on. President Trump has suggested adding federal gas taxes to raise more of the funds, but that’s been fading out in Congress. Republican legislators haven’t supported it, and want to gain support from voters as the mid-term election approaches. Adding a hefty gas tax may not go well with voters. 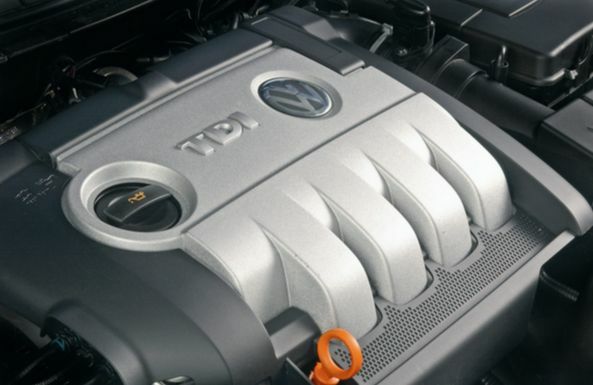 VW settlement funds: States are starting to tap into the great potential coming from the Volkswagen diesel emission scandal with nearly $3 billion being directed to the Environmental Mitigation Trust. That was spurred along in October with Wilmington Trust being named the VW settlement trustee, with several states expected to release their mitigation plans in the coming weeks and months. Fleets are in an excellent position to tap into funding sources for their upcoming clean vehicle initiatives. Gladstein Neandross & Associates (GNA) has made resources available to fleets through its Funding 360 team, including its VW Funding 360 Portal, which offers users access the state-specific intelligence and breaking news on available state funding programs. It was the focus of a GNA webinar last week and is expected to be a hot topic at the upcoming ACT Expo, taking place April 30 to May 3 at the Long Beach, Calif., convention center. Self-driving fuel cell vehicle: Hyundai’s new Nexo fuel cell crossover SUV, which was revealed last month at the Consumer Electronics Show, is scheduled to roll out next month in South Korea. It will have a range capacity of about 500 miles and can be refueled with hydrogen in three-to-five minutes. Hyundai is also tapping into the autonomous vehicle technology front by preparing to achieve Level 4 autonomous in the Nexo by 2021. The automaker recently set a new benchmark by going 118 miles in full “cruise” mode during a highway demonstration earlier this month. German automakers stepping away from diesel: Porsche has officially exited the diesel engine market now that diesel variants of its performance cars are no longer available. That’s taken place over the past couple of years after its parent company, Volkswagen, has emerged from the “dirty diesel” scandal. While VW has yet to be cleared (with news of air pollution tests on monkeys a few years ago hurting its image), it may be in better shape now that German competitor Daimler. While Daimler is getting out of building diesel-powered cars, a few of its older models are still the source of investigation by the U.S. Environmental Protection Agency. Regulators are investigating whether old models had been equipped with illegal software to help them pass emission tests. It follows lawsuits filed in 2016 by customers claiming their Mercedes-Benz diesel cars had been equipped with software designed for cheating on U.S. diesel emissions tests. 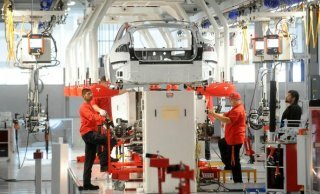 Tesla may not build a factory in China: Tesla may not be able to bring a factory to China under the appealing terms that had been reached with the government last fall, according to a Bloomberg report. CEO Elon Musk had been in talks about building an assembly plant in the Shangai area, but the two parties couldn’t reach an agreement on how the ownership structure would work. The national government wants it to be like all the others – a joint venture with local partners and Tesla wants to own the factory entirely. In October, Tesla had reached an agreement with the government in Shanghai to build a production facility in the city’s free-trade zone. 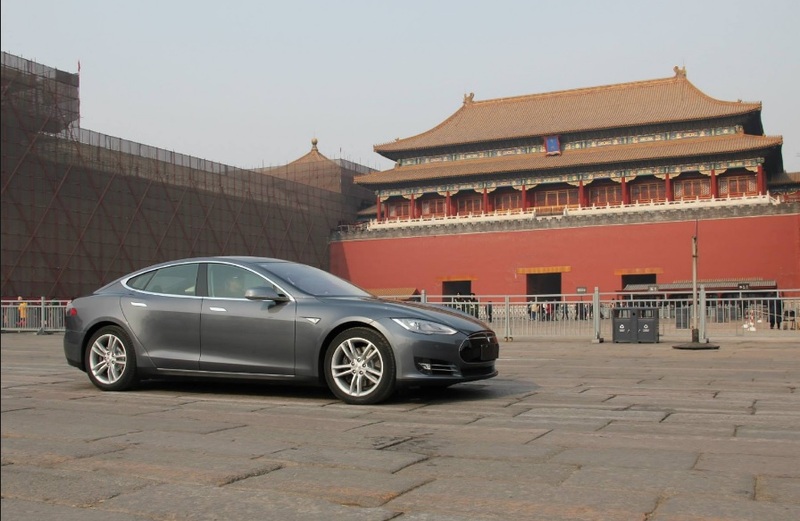 Tesla would have been able to sidestep China’s steep tariffs by building a factory in the zone. Tesla has done well selling its electric cars in China, but an import tax of 25% raises the sticker price beyond what most consumers are willing to consider. A Tesla Model X made in the U.S. and shipped to China costs about 835,000 yuan ($132,000). Neither Tesla nor China responded to Bloomberg queries on the state of the potential agreement. Evolution offers information resources for EV shoppers: For those of you thinking about buying a plug-in vehicle in the Midwest, or need resources for marketing them, check out EVolution: Choices for a Smarter Purchase. Consumers interested in buying an all-electric or plug-in hybrid vehicle can check out a new-vehicle purchase guidance tool created by Argonne National Laboratory. The EVolution website connects to the Alternative Fuels Data Center, FuelEconomy.gov, U.S. Energy Information Administration websites, and others in one convenient platform to provide the most recent information about electric-drive and conventional powertrain types, public charging locations, and available incentives. Argonne National Laboratory designed the research tool as a part of the seven-state Midwest EVOLVE project, providing information on buying an EV in Illinois, Indiana, Michigan, Minnesota, North Dakota, Ohio, or Wisconsin. Midwest EVOLVE is a partnership between the American Lung Association and eight Clean Cities coalitions in the Midwest to educate consumers about the clean-air and performance advantages of plug-in electric and hybrid vehicles. Shared Mobility Principles for Livable Cities: While autonomous vehicles has become the leading edge issue in the auto industry, the question always comes up about how companies will be able to build viable, profitable business models and meet demands for real-world transportation. That would include doing it safely and addressing public concerns about how realistic self-driving cars would be to release on our roads. 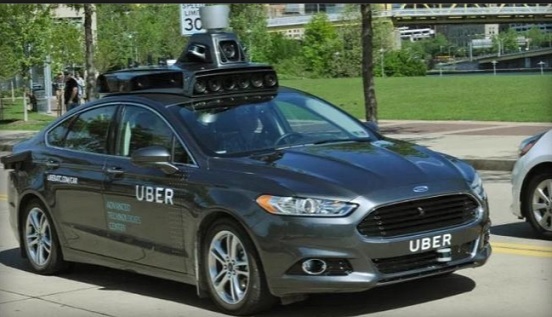 In the past year, the topic of robotaxis has been the focus, with automakers forging alliances with tech giants and mobility service companies. The business model is appealing to many, as it could meet future demand for transportation in increasingly crowded, traffic-packed, air-polluted cities. Consumers may not want to own autonomous vehicles as much as they’d be willing to take an Uber or Lyft ride driven by a robot. The Shared Mobility Principles for Livable Cities was launched last year and led by Robin Chase, a Zipcar co-founder. Earlier this month, the organization brought in 15 leading technology and transportation companies and adopted a set of rules and principles addressing equity, environmental, and social concerns. The companies – Uber, Lyft, BlaBlaCar, Citymapper, Didi, Keolis, LimeBike, Mobike, Motivate, Ofo, Ola, Scoot Networks, Via, and Zipcar – account for 77 million passenger trips per day and inform the travel decisions of 10 million people each day, according to a statement released by the World Resources Institute, the organization which facilitated the agreement. The Shared Mobility Principles for Livable Cities was launched in October 2017 at the Ecomobility World Festival in Taiwan. It was initially signed by policy think tanks and advocacy organizations, including Transportation for America, Natural Resources Defense Council, ITDP, the World Resources Institute, and the Rocky Mountain Institute. The organization has written 10 non-binding principles in the statement offering a vision for a sustainable mobility future that incorporates multimodal transportation options. 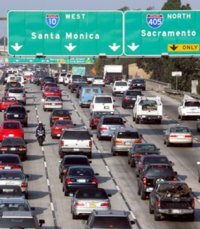 LA most traffic congested city: U.S. cities took five of the Top 10 Most Congested cities for last year. In the INRIX 2017 Traffic Scorecard, Los Angeles topped the list and was joined in the ranking by New York City, San Francisco, Atlanta, and Miami. The ranking is based on analysis of the total cost to average drivers in wasted time and fuel cost. Indirect costs are included that affect businesses operating in those cities who pass their increased costs from congestion on to consumers through higher prices. Thailand leads with the highest average hours spent in peak congestion (56 hours), surpassing Indonesia (51 hours), Columbia (49 hours), Venezuela (42), with the U.S. and Russia both at 41 hours. The INRIX study found that traffic congestion costed U.S. drivers nearly $305 billion last year, averaging about $1,445 per driver. While other countries have high-speed rail and other transportation modes (including biking), the U.S. seems to be looking at finding a good balance, long term, between mobility services, autonomous vehicles, and clean vehicles, to deal with the congestion and air pollution problems. New Sonata Hybrid and Plug-in Hybrid: The refreshed 2018 Hyundai Sonata Hybrid and Plug-in Hybrid are being shown off at the Chicago Auto Show. Changes made to the Sonata lineup include revisions to the front and rear fasicas, hood, front fenders, and alloy wheel designs. New LED headlights utilize the new Dynamic Bending Light, which moves in alignment with the steering wheel. Both variants of the Sonata run off of a 2.0-litre four-cylinder engine, an electric motor, and a six-speed automatic transmission, which produces a combined 193 horsepower in the Hybrid and 202 hp in the Plug-in Hybrid. The Plug-in Hybrid can go an estimated 26.7 miles on battery power. Green Auto Market anniversary: Special thanks to all who’ve sent me a LinkedIn happy birthday for Green Auto Market’s six year anniversary. The newsletter had started out prior as Green Automotive Digest with its Green Machine Digest blog. It became Green Auto Market in February 2012 with emphasis on the emerging business of clean vehicles, infrastructure, fuels and energy, advanced technologies, and the economic and political context behind all of it. It was monthly at that time, and went to weekly in June 2013 to a much longer list of readers. 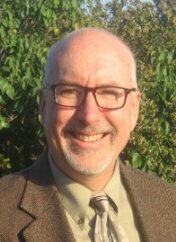 Special thanks to Editorial Advisory Board members for participating in monthly conference calls in recent years, especially Craig Shields, 2GreenEnergy; Peter Ward, Alternative Fuels Advocates, LLC; Joe Stergios and Greg Tabak, Enterprise Holdings; and Michael Taylor, Propane Education & Research Council. Tesla yesterday reported a $675.4 million net loss, or $4.01 per share, in the fourth quarter as the automaker continued to invest in ramping up production for the Model 3. The net loss widened from $619.4 million, or $3.70 per share, in the previous quarter but it was smaller than analysts had expected. Revenue was higher than expected at $3.29 billion in Q4, a nearly 10% increase from Q3 of last year. The company is taking a positive outlook for 2018, with the planned ramp of both the Model 3 and its energy storage products that should drive a revenue growth rate much higher than last year’s rate. The company’s cash balance remained stable last quarter even with the Model 3 production increasing, and not at the level originally planned by Tesla. CEO Elon Musk has been able to alleviate concerns that more cash will need to be raised soon. Customers are supporting efforts by putting down more than $850 million in deposits for its vehicles including the Semi truck and revised Roadster that Musk revealed in November. Timing of the SpaceX launch has helped, with the Musk’s Roadster being packed into the world’s most powerful rocket, the Falcon Heavy. 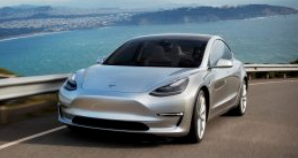 “If we can send a Roadster to the asteroid belt, we can probably solve Model 3 production,” Musk said during the conference call with analysts yesterday. Porsche will be doubling its spend on vehicle electrification to more than 6 billion euros ($7.4 billion) by 2022, CEO Oliver Blume said in a statement. Half will go to material assets and the other half to development costs. About 500 million euros will develop variants of the Mission E all-electric sports car that will debut next year. The Mission E is expected to be rolled out with a few performance versions. The company will also will invest 1 billion euros for the electrification of its existing products. 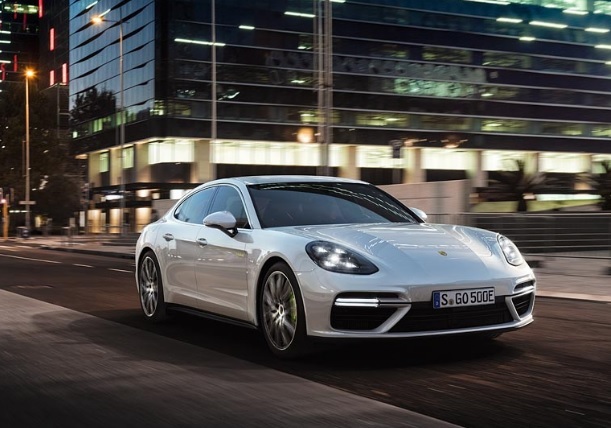 Porsche has been placed to that a plug-in hybrid version of the Panamera sedan as it top version with longer electric range has been a success. About 60% of the new Panameras sold in Europe were equipped the hybrid powertrain, Porsche said. 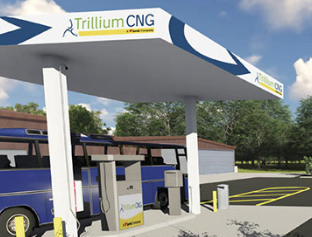 Trillium CNG will be expanding its services, adding the design, building, and maintenance of hydrogen fueling stations. New services will also include electric vehicle charging infrastructure, solar panel installation, and microgram design and construction. The first hydrogen station will supply fuel cell buses starting this summer for the Orange County Transportation Authority’s (OCTA) Santa Ana, Calif., facility. Transit buses will be able to tap into 35 kilograms of hydrogen per bus in 6 to 10 minutes simultaneously from two fueling lanes. The station will be able to fuel the current 10 fuel cell buses and can go up to 50 buses. Infrastructure will be added to OCTA’s existing CNG fueling lanes. The current CNG station was designed and built by Trillium CNG in 2007 and continues being maintained by the company. Air Products & Chemicals, Inc., will supply and deliver liquid hydrogen. The Center for Transportation and the Environment (CTE) a nonprofit that advocates for clean, sustainable, innovative transportation and energy technologies, is managing the project. CTE secured funds for the project from the California Air Resources Board through the California Climate Investments program, a statewide program that puts billions of cap-and-trade dollars to work reducing greenhouse gas emissions, strengthening the economy, and improving public health and the environment. Bloomberg New Energy Finance. That will mean last year’s 386,000 units sold will go up to 1.2 million in the next seven years. Strong domestic support and aggressive city-level targets will mean China accounts for 99% of the world’s battery-powered buses by 2025, the report said. Last year’s electric bus sales dropped from 115,700 sold in China in 2016 to 89,546 last year due to policy changes and incentives being cut back during that time. This year will see changes as policy from national and local/city governments start to collide, according to a Clean Technica report. 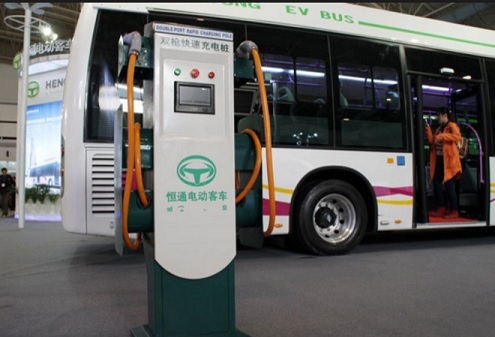 Hydrogen fuel cell buses will see an increasing trend as Chinese governments provide more support and subsidies. The Bloomberg report is taking a more optimistic view overall on electric bus growth with China supporting electric buses aggressively. Two Chinese bus makers are dominating the domestic market – Yutong and BYD. BYD is the leading electric bus manufacturer, and Yutong is the largest overall bus manufacturer in the country. The EV manufacturer not long ago supplied 20 electric coaches to two Macao tourism enterprises in China. BYD continues to be active in other global markets, including supplying buses in the U.S. to transit districts. The Chinese company just announced it will supply 11 BYD ADL Enviro200EV single deckers operated by Go-Ahead London for the Transport for London. They’ll be similar to other BYD electric buses already on London roads operated by Go-Ahead London. Renewable CNG case studies: The U.S. Department of Energy’s Argonne National Laboratory and Energy Vision released two case studies of successful projects utilizing renewable compressed natural gas (R-CNG) from anaerobic digesters capturing biogases coming from decomposing organic waste. One case study looks at Fair Oaks Farms, an Indiana dairy cooperative with roughly 36,000 cows, where biogases power its milk tanker trucks. The other study explored the Sacramento BioDigester, the first food-waste digester in California to turn commercial organic waste into R-CNG vehicle fuel using anaerobic digestion. Midwest EVOLVE and Clean Cities bringing more EV experience to the region: Midwest EVOLVE and its Clean Cities coalition partners are rolling out events offering a hands-on experience to test drive electric vehicles available locally, to help consumers and fleets make sound purchase decisions. One of these will be taking place February 10-19 during the 2018 Chicago Auto Show, where attendees will have the chance to test drive vehicles such as the all-new 2018 Nissan Leaf, 2018 Chrysler Pacifica Hybrid, and 2018 Mitsubishi Outlander PHEV. Chicago Area Clean Cities Coalition is hosting the test drives in partnership with the Midwest EVOLVE program. The American Lung Association is a key sponsor to Midwest EVOLVE. The Clean Cities partners include Twin Cities Clean Cities Coalition, Chicago Area Clean Cities, Clean Fuels Ohio, Earth Day Coalition, Greater Lansing Area Clean Cities, North Dakota Clean Cities, South Shore Clean Cities, and Wisconsin Clean Cities. A few of these Clean Cities coalitions active in Midwest EVOLVE will be hosting their own events this year. Clean Fuels Ohio is highlighting electric vehicles at auto shows throughout Ohio. Wisconsin Clean Cities recently announced the debut of The Electric Room at the 2018 Greater Milwaukee Auto Show, representing the first all-electric vehicle display in that auto show’s history.The Electric Room will feature the latest in electrified vehicles and charging stations. The Greater Milwaukee Auto Show is taking place Feb. 24 through March 4. Tesla Model 3 leads plug-in sales: The Tesla Model 3 is now the top selling plug-in vehicle in the U.S., even if Tesla is still behind on its original production forecast from last year. The 1,875 sales total for the Model 3 for January comes from Inside EVs. It’s based on about 860 units being sent to customers at the end of the quarter, which are expected to be counted as deliveries in Q1 2018. The company also said that it was reaching a production rate of 1,000 units per week following the end of Q4 deliveries. The Toyota Prius Prime took the second spot at 1,496 units sold; the Chevy Bolt came in at 1,177, the Tesla Model S had 800 units sold in January, and the Chevy Volt had 713 vehicles sold. Plug-in vehicles had a better January in the U.S. than the overall light-duty vehicle sales market. Autodata Corp. reported a 1% increase at 1.15 million new vehicles sold last month. Inside EVs estimates that battery electric and plug-in hybrid vehicle sales went up about 10% from last year, with 12,116 units sold in January 2018 compared to 11,004 in January 2017. Nissan and Infiniti launching six EVs: Nissan and its Infiniti luxury brand will represent half of the 12 EVs that CEO Carlos Ghosn committed to last year for the Renault-Nissan-Mitsubishi Alliance. Toshihiro Hirai, Nissan’s corporate vice president for powertrain and EV engineering, said that Nissan will be rolling out four all-electric vehicles and Infiniti will launch two all-electrics over the next five years. Like the Nissan Leaf, these new models will be battery electric vehicles. They won’t be utilizing the company’s new E-Power system, which uses a small gasoline engine to generate power for an electric motor. Fuel prices climbing up: Gasoline prices have gone up in the past week in several states. The national average is at $2.605, according to AAA. A year ago it was $2.270, and it’s up from $2.490 a month ago. Diesel is at $2.998, up from $2.509 a year ago and $2.893 a month ago. As for the price of a barrel of oil, West Texas Intermediate (WTI) crude oil has gone up from $53.01 on Feb. 6, 2017 to $64.73 today. Hawaii and California have the highest gasoline prices, at $3.391 and $3.344, respectively. Hawaii is usually one of the highest, with the additional cost of shipping petroleum to the islands built into the cost. California is usually higher than the national average, but prices have been spiking up in the past few months. Starting in November, California motorists have been paying 12 cents more per gallon for gasoline and 20 cents more for diesel. This came from state tax increases being used to improve road conditions. New vehicle sales haven’t been affected by fuel price increases yet. Trucks were up 8% in sales last month while cars were down 10.8% with small and mid-size cars down even further. Hybrids and plug-in vehicles were up in sales last month, but they still only make a small percentage of total sales – hybrids at 1.91% and plug-ins at a little over 1% of total U.S. light-duty vehicle sales in January. The University of Michigan’s Transportation Research Institute has seen the sales-weighted average fuel economy in new vehicle sales hover around the 25.0 to 25.3 mpg mark for several months. But fuel prices are expected to go up this year. Average prices could climb by more than 10%, in the near future says Patrick DeHaan, head of petroleum analysis at Boston-based GasBuddy, which monitors fuel prices across the U.S. One OilPrice.com analyst predicts that the price of a WTI barrel of oil will go up from its current $64.73 to about $70 a barrel in the near future. 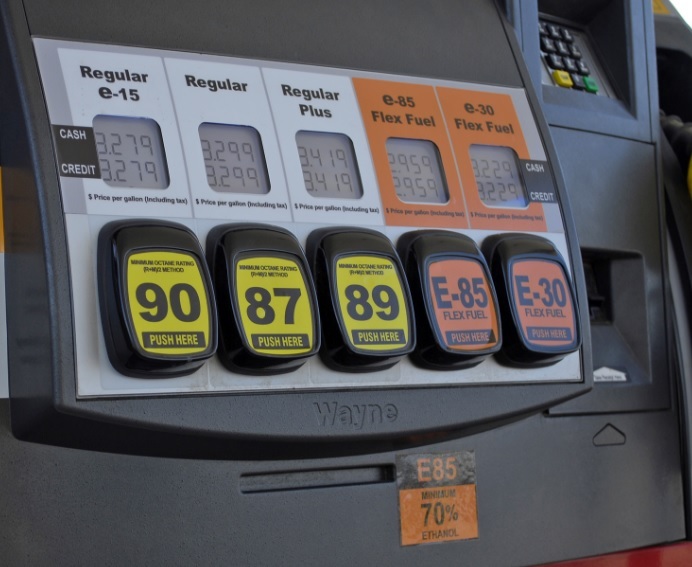 Gas pump prices have always made for a strong argument to consumers and fleets over buying more fuel-efficient vehicles including hybrids, plug-in vehicles, and alternative fuel vehicles. It was weakened in the summer of 2014 with falling pump prices. That argument will become stronger as fuel prices continue to rise. Green Score of 70. Last year, the Ioniq Electric topped the list with the then-highest-ever Green Score of 64. Winners of the award issued annually by the American Council for an Energy-Efficient Economy (ACEEE) earn a high Green Score rating based on an environmental damage index (EDX). The index estimates pollution from vehicle manufacturing, the production and distribution of fuel, and vehicle tailpipes. ACEEE found that what makes this year’s award winner and others on the top ranking stand out is affordable, efficient, tech-smart vehicles that are now on the market, offering consumers plenty of options for buying a greener vehicle. The Ioniq was acknowledged for bringing high efficiency in a practical size. 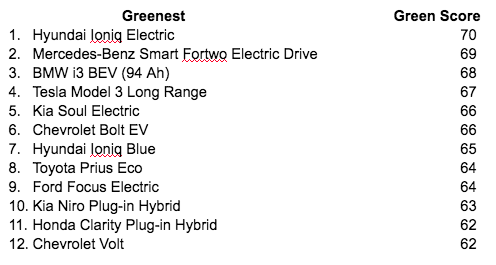 The Mercedes-Benz Smart Fortwo Electric Drive, BMW i3, Kia Soul Electric, Ford Focus Electric, and Honda Clarity also took places among the greenest vehicles on the market. ACEEE also issued the Meanest List leaning toward large SUVs, loaded pickup trucks, heavier medium-duty vehicles, and European luxury cars that are the least friendly to the environment. The Mercedes Benz G550 took the lowest score of 19. Confusion over J.D. Power acquisition: Leading automotive analyst company J.D. Power has been facing an uncertain future since its 2016 acquisition by Hong Kong investment firm XIO Group. J.D. Power employees say they have limited knowledge about where XIO’s funding came from, with some advisors to XIO having received contradictory accounts. A month into the sale to XIO Group through an offshore private equity fund in the Cayman Islands, seller S&P Global Inc. admitted that it was unsure about who owned the firm and the source of its funding, according to The Wall Street Journal. The Cayman Islands doesn’t require firms to publicly disclose their investors. XIO acquired J.D. Power from S&P Global on Sept. 7, 2016, for $1.1 billion. J.D. Power is facing challenges many media and research companies have undergone in the past few years as the marketplace faces historic changes. 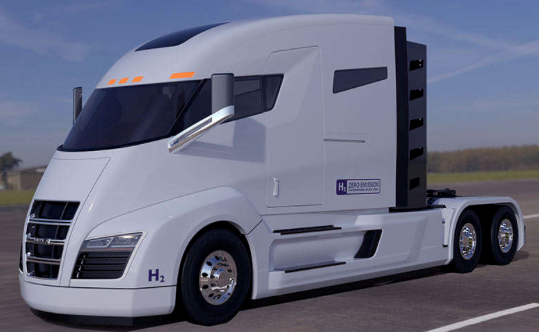 Nikola opening Arizona plant: Hydrogen fuel cell truck maker Nikola Motor Co. plans to build a $1 billion, one million-square-foot facility outside Phoenix to assemble its trucks. The company will be moving its R&D and headquarters to Arizona in the near-term future, and hopes to have the transition completed by October 2018. While the plant is being built, the first 5,000 production models will be manufactured at its facility in Crossville, Tenn. Nikola said it has received 8,000 pre-orders for its two trucks, the Nikola One, a sleeper cab, and Nikola Two, a day cab.